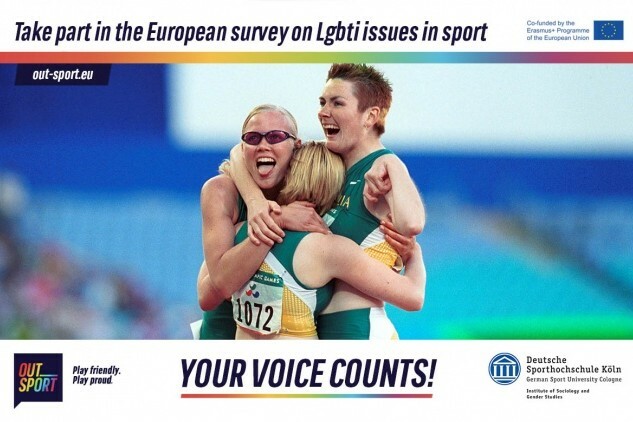 Outsport: new survey on LGBTI issues in sport | LEAP Sports Scotland Take part in the first ever European wide research on LGBTI people and sport. "> Take part in the first ever European wide research on LGBTI people and sport. LEAP Sports are a partner in the Outsport project, funded by the European Commission, which has launched the first ever European wide research on lesbian, gay, bisexual, transgender, intersex (LGBTI) and sports. The aim is to provide an empirical basis and useful knowledge to develop new approaches and educational strategies to combat discrimination and prevent violence based on sexual orientation and gender identity and to facilitate the access of LGBTI people to sporting activities at every level. The questionnaire is aimed at LGBTI people who are aged 16 years and above and live in the European Union. Neither sport participation nor discrimination experiences are mandatory to participate. 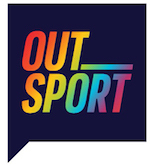 The biggest ever research on LGBTI issues in sport within Scotland is the Out for Sport project which was led by Equality Network and launched in 2012. That research showed that 79% of people thought that there was a problem with homophobia in sport, 66% thought that there was a problem with transphobia in sport, and only 5% of people who think enough is being done to tackle this. This new research will help us to see whether things have changed in the past 6 years. The Institute of Sociology and Gender Studies of the German Sport University Cologne, coordinated by Professor Ilse Hartmann-Tews, is in charge of the research. The whole campaign material, available in six languages, can be seen at the Outsport website at this link and we encourage you to help us to spread the word and get the survey out there. The first findings from the survey will be published at the end of 2018. Written on 9th April 2018.